Today the CFPB posted four Frequently Asked Questions relating to TRID. Three of the questions relate directly to corrected closing disclosures and the three business-day waiting period before consummation and the fourth question relates to the model forms. You can read the CFPB questions and answers at https://www.consumerfinance.gov/policy-compliance/guidance/tila-respa-disclosure-rule/tila-respa-integrated-disclosure-faqs/. Regulatory Solutions provides comprehensive TRID reviews to ensure you are in compliance with the TILA-RESPA requirements. If you would like to discuss how we can assist you with your TRID reviews, please contact us at Betsy.reynolds@regulatorysol.com or Rhonda.wannemuehler@regulatorysol.com. Pound on the Hill Animal Rescue is a non-profit organization dedicated to rescuing the stray, rejected and unloved dogs wandering the streets of Alabama. Our employees teamed up to organize an in-house collection of food, blankets, treats, toys, cleaning supplies and a monetary donation. Delivered by our staff members Lynn Harris and her son Alex, the puppies were elated. It was a great way to end the holiday season and one we will do again. For more information on Pound On The Hill Rescue, visit www.poundonthehill.org. We are proud to announce that we were a sponsor of the 2nd annual Lyric Masquerade Ball on January 21, 2017. The Junior Board of the Alabama and Lyric Theatres hosted the Lyric Masquerade Ball. This formal event featured Matthew Devine playing New Orleans style jazz, dancing, heavy hors d’oeuvres, a silent auction and an open bar including a signature cocktail drink provided by Redmont Distillery, wine, and beer provided by Birmingham’s own Cahaba Brewing Company and Ghost Train Brewing Company. The Junior Board of the Alabama and Lyric Theatres was created to support in the younger adult population for the build awareness and preservation of the Alabama and Lyric Theatres and the performing arts in Birmingham, Alabama. 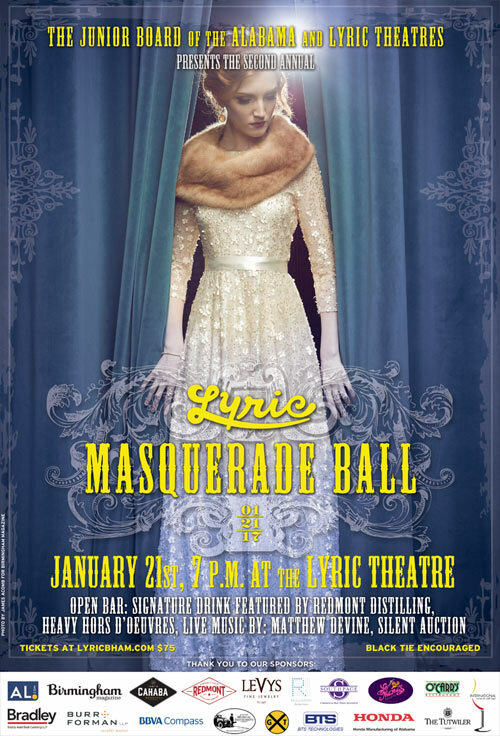 All proceeds raised through the Lyric Masquerade Ball will go to benefit the Lyric and Alabama Theatres. 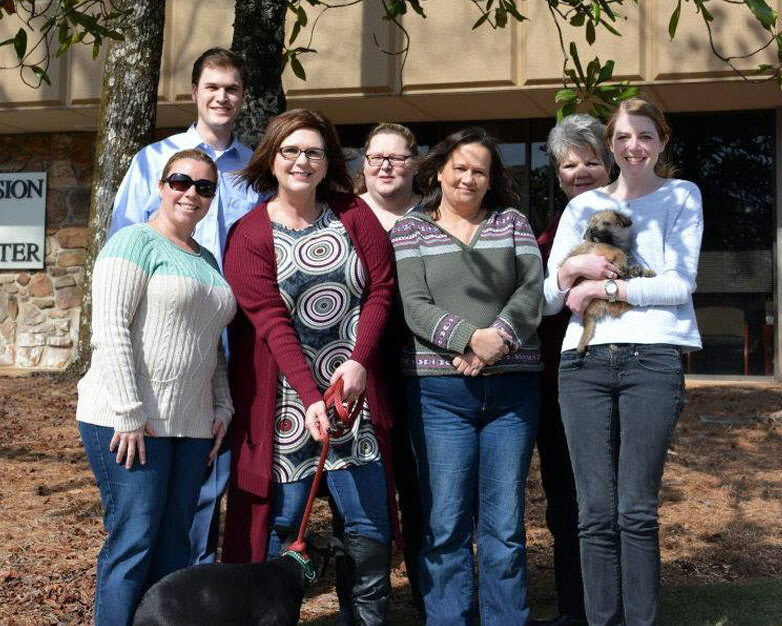 Regulatory Solutions supports Pound on the Hill Animal Rescue. The great team at Regulatory Solutions LLC welcomed Vini, Scarecrow and I when we came by for a visit. 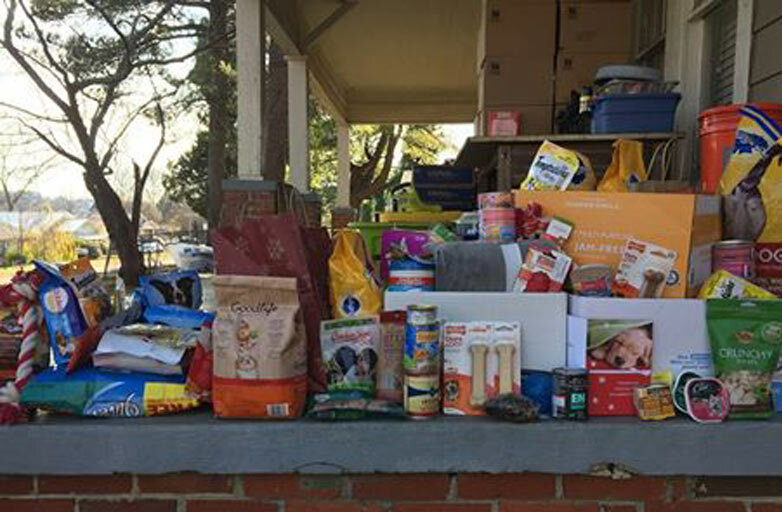 When Lynne Raney Harris became aware of Pound on the Hill Animal Rescue she spoke with her co-workers about putting together some donations to help with our rescue efforts. We had just received a huge bundle of food, toys, treats, much need cleaning supplies, etc at Christmas. I was surprised when she called to let me know they wanted to be our Valentine. So with a couple of pups in tow, it was time to go to meet this generous crew. I do not recall everyone’s name but they are definitely part of the Pound Posse. Thank you all so much for making us feel so welcome… and for being a part of saving these little lives. Your continued generosity is overwhelming. We will come by again in the near future so you can meet more of the wagging tails you are helping. This office is not just dog friendly when a visitor comes by. As I was talking with several of the team, a dog walked around the corner of the office to greet us. They bring their dogs to work with them! How cool is that?! Author Betsy ReynoldsPosted on February 24, 2017 May 1, 2017 Categories CommunityLeave a comment on Regulatory Solutions supports Pound on the Hill Animal Rescue.